WANT TO ANNOUNCE SOMETHING ??? LET US KNOW. Dates to take note of !!! - Saturday, May 4th, 2019. Tickets for this year's Battle of the Atlantic are now available for purchase. Price remains unchanged from last year $25.00 per person and are available at the bar within The Pat Chappell Mess. Date is Saturday, May 4th, 2019. Parade and ceremony will be on Sunday, May 5th, 2019. Please contact the Club or a Member of the Executive if additional information is needed. Thank you for your support. 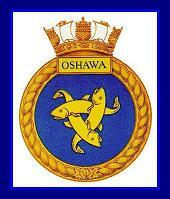 - You can also visit the Oshawa Naval Veterans Club's calendar(s) of events. CLICK HERE to enter calendar(s). - GENERAL MEMBER MEETINGS are held every month on the 2nd Sunday of that month at 1330 hours. Exceptions for the summer months and at the Executive discretion. - The O.N.V.C. House League Darts, every Thursday, all are welcome with any skill level. Sign up at 1930 hours with darts to begin at 2000 hours (September to May). $4.00 per person. - The O.N.V.C. House League Darts, every Tuesday afternoon, all are welcome with any skill level (September to May). - O.N.V.C. Friday Evening BBQs (BBQs are now held only once per month, you may also contact the Club for details). The BBQs are Family Friendly, all are welcome, moms, dads, kids, friends, etc... Bring them all down to the Club! Every Friday till it gets to cold! Volunteers needed, see Bulletin Board on the website or contact Rod Ayre for details (May till it gets too cold!). Thank you. Do not forget to check our Bulletin Board. Click here!